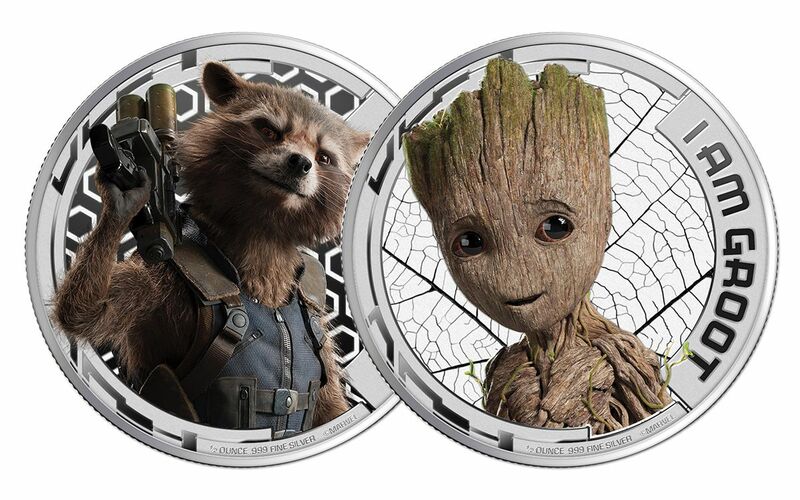 Immortalized in Silver, They're Here to Save the Universe . . . Again! You may know about Iron Man, Captain America, the Hulk and the rest of the Avengers. But, apart from the devoted fans of the Marvel Comics Universe (MCU), how many knew about the interstellar heroics of the Guardians of the Galaxy? Hollywood insiders and outsiders alike knew that Marvel was taking a big gamble when the first Guardians of the Galaxy film flew into theaters in the summer of 2014. One gigantic box office smash and star-making turns from a cast led by Chris Pratt later, and you can see why fans around the world are devouring 2017's second helping of this action-comedy space saga. Now, you can capture your own collection of these outlaws for your very own! An Awesome Mix of Proofs in Colorized, 99.9% Pure Silver! 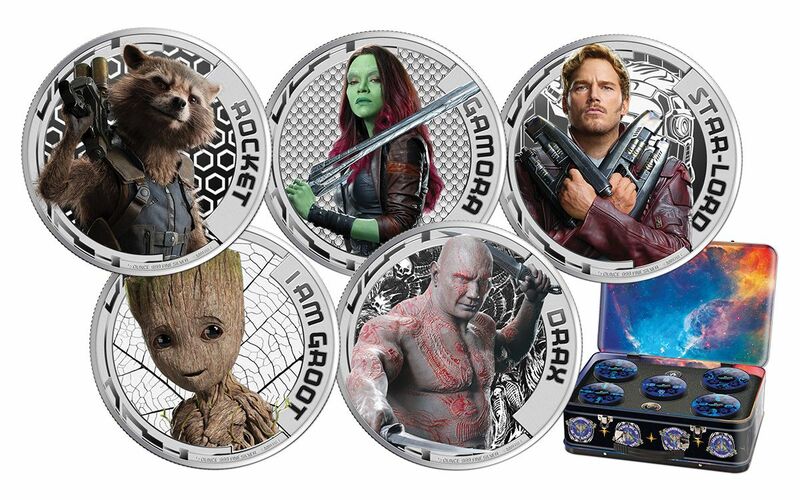 When our buyers found out that Germany's Mayer Mint was going to create a Guardians of the Galaxy Vol. 2 Proof Set, we knew it was going to be incredible -- but we weren't expecting this! 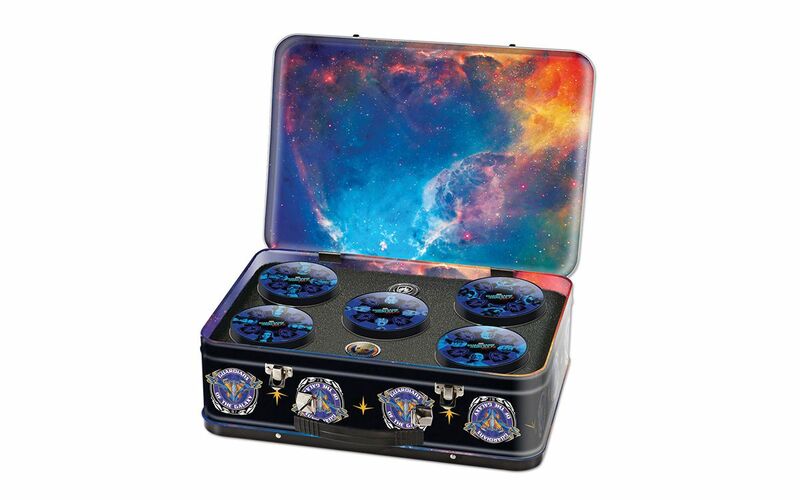 Minted in a half-ounce of 99.9% pure silver each, these proofs feature the five Guardians in vivid images, minted with state-of-the-art colorization technology, against razor-sharp detailed backgrounds. 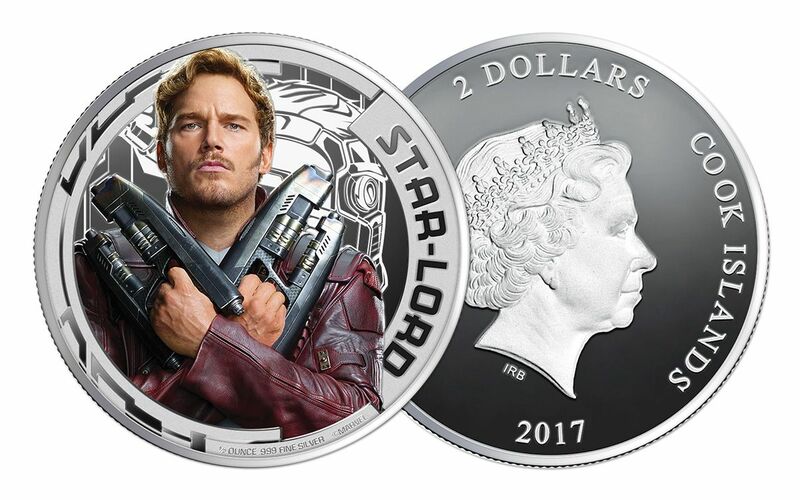 Polished dies and selected planchets perfectly capture the heroic profiles of Star-Lord . . . er . 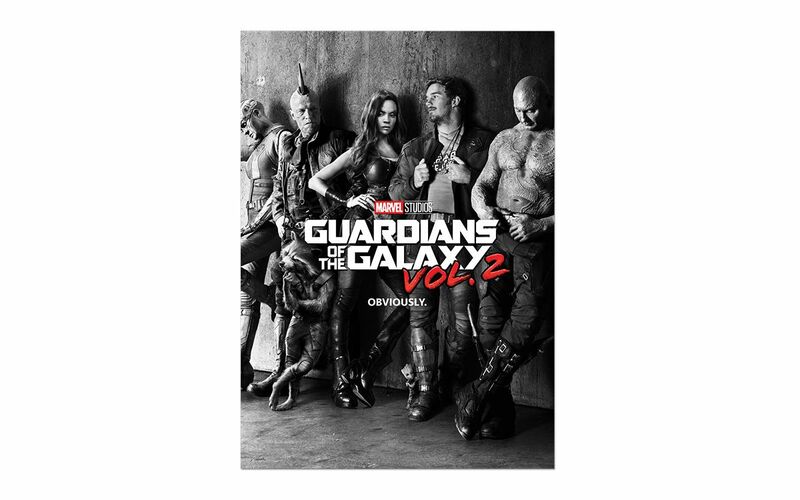 . . Peter Quill (Chris Pratt), Rocket (voiced by Bradley Cooper), Gamora (Zoe Saldana), Baby Groot (voiced by Vin Diesel) and Drax (Dave Bautista). Flip each of these Cook Islands two dollar legal-tender coins over, and you'll find Ian-Rank Broadley's profile of Her Majesty Queen Elizabeth II. Radical Extras Make This Set an Irresistible Get! As downright stunning as these proofs are, they just a part of the package! All five proofs have been certified flawless Proof-70 Ultra Cameo (PF70) by Numismatic Guaranty Corporation (NGC). That means your perfectly-graded proofs will have ZERO imperfections -- showing all features and fields exactly as the engraver and mint intended! These proofs have also been certified Early Releases (ER) by NGC, meaning that they were among the first struck by the mint and were verified within the first 30 days of issue. In addition, each proof will be sonically sealed in its own acrylic case with a white display core and special Marvel label -- giving you the best in protection while granting clear sightlines into every beautiful detail. But that's not all! 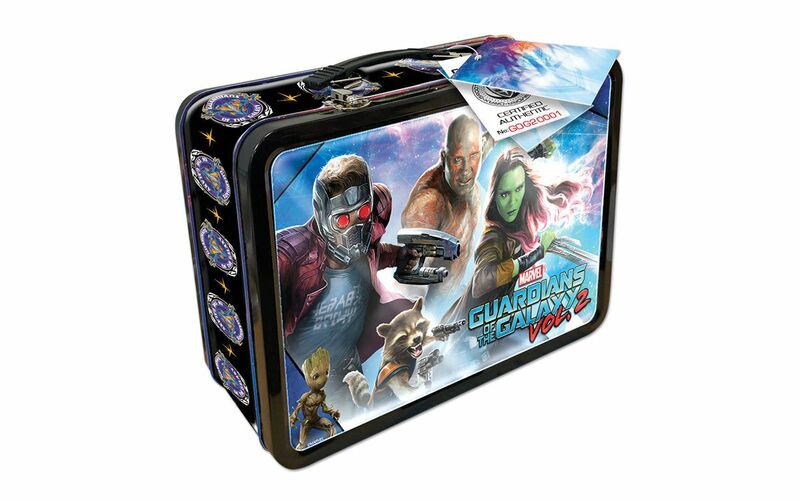 You'll receive all of the mint's original packaging, including five circular Guardians of the Galaxy tins, presented together in a spectacular embossed lunchbox-style case -- showcasing some of the most amazing color details we've ever seen in a coin package! 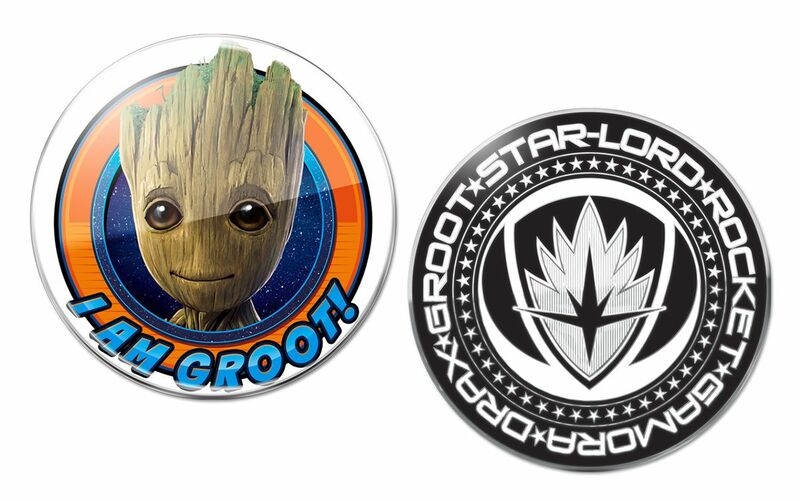 Not only that, two lapel pins are also included, along with a 23" x 33" poster featuring the Guardians. And if that wasn't enough, you also get an individually numbered mint certificate of authenticity struck from two grams of 99.9% pure silver! 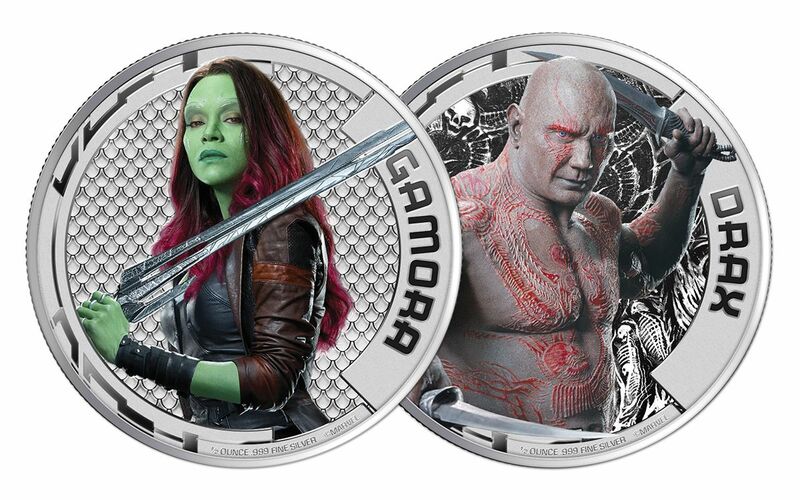 However, here's the bad news -- only 3,000 of these sets will be minted. 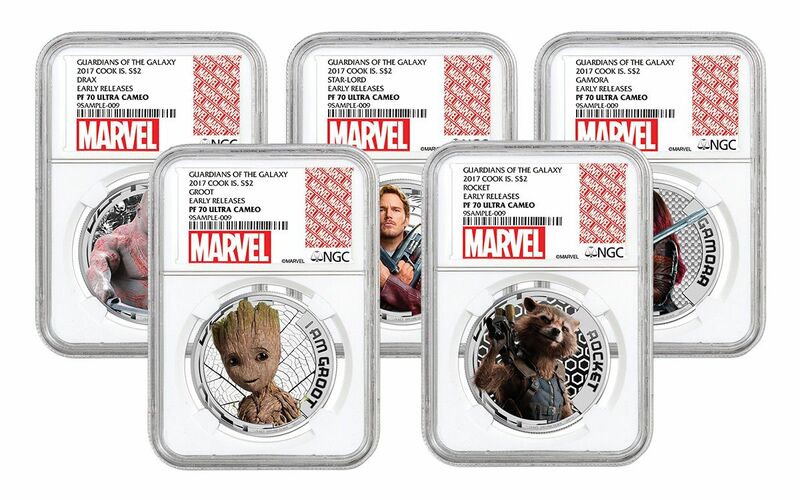 That's only a few thousand to spread out among the countless MCU fanatics around the world -- not to mention collectors looking for some of the most stunning proofs in the cosmos! Whether you're looking to make it a jaw-dropping addition to your collection or to give the best gift EVER, don't wait another second. Catch this set before it flies away for good!